After an intensive search, the International Association of Skateboard Companies (IASC) is excited to announce the appointment of legendary 411 Video Magazine mastermind, Josh Friedberg to Executive Director. Friedberg will take over the position following the retiring John Bernards, who will step down from his role as Executive Director after seven years at the helm of the organization. Bernards, who has been Executive Director of the IASC since 2003, is responsible for increasing the association's membership by 85% and developing key new initiatives that have helped raise the profile of the organization and its member companies. He and his team developed and launched a global skateboarding event - Go Skateboarding Day now celebrated by millions of skateboarders around the globe. 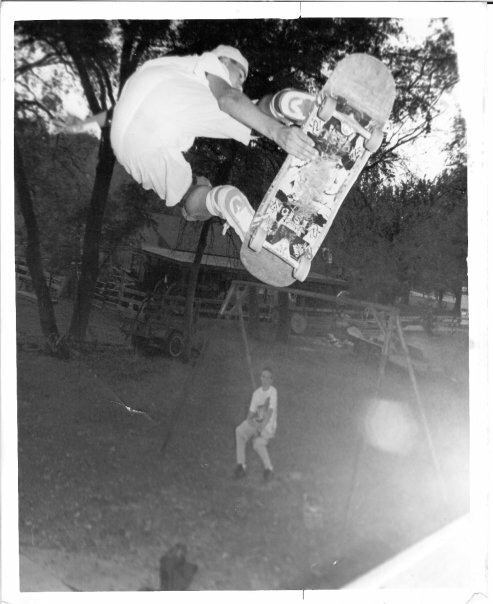 Skateboarding took over Josh Friedberg’s life when he was 13, in the summer of 1985. After sending in a sponsor-me video from his hometown of Topeka, Kansas, Josh was sponsored by New Deal Skateboards in 1990. In 1991 Josh moved to California to pursue his dream of a career in skateboarding. While a sponsored amateur, he had an opportunity to utilize his educational background in computer science in the editing and production of the 1992 New Deal Skateboards video, “Da Deal is Dead.” The video bug had bit and in 1993 Friedberg Co-Founded 411 Video Productions. As producer/editor he pioneered the 411VM video magazine format that permanently changed the face of skateboard media. Hand-picked by Mark Gonzales to ride for 60/40 Skateboards, Josh turned professional in 1995 for 60/40 sister company People Skateboards. As President of 411, Josh led the company through its acquisition by Wasserman Media Group in 2004, resulting in the creation of Studio 411, a global action-sports production and distribution company. "I'm honored to be chosen as Executive Director by such an accomplished group as the IASC Board,” says Friedberg. “It's a heavyweight room and their support gets me excited to tackle the challenges at hand. I believe IASC truly succeeds when every skateboard company small and large is compelled to join because of both the benefits IASC can provide their business and the work we do as a whole to support skateboarding. With the combined strength of all our members I'm going to do everything I can to make IASC an indispensable resource for the future growth of the skateboard industry." Since leaving Studio 411 in 2005, Friedberg has spent his time enjoying his family life and continuing to hone his skills in production, photography and web development. In 2010, with the support of skateboarders from around the world, he won the $25,000 Audience Award in the Nikon Festival when his short film was voted as fan favorite out of more than 1200 entries. Most recently Josh co-founded Already Been Done, a web and mobile based skateboarding magazine that launched its mobile app on January 4, 2011. IASC executive director emeritus, John Bernards will continue work closely with the organization as Friedberg takes the reigns at the end of February 2011.